‘We are not adverse to change because of gender issues. We oppose it because Up Helly Aa is part of our culture and heritage and we love it the way it is’, writes Linda Hughson. I WAS born and raised in Lerwick into a family where Up Helly Aa was a very important part of family life. My parents met at Up Helly Aa. My dad participated year after year, my mother attended, hosted at a hall and many a party was had in our home. Countless fond memories were made and lifelong friendships were forged as a result of the festival and this is my reason for feeling as passionately as I do about the current argument. I now have four children of my own – one boy and three girls. My eldest daughter took part in the Scalloway Fire Festival the year before last so I very much understand both sides of the argument from a parental point of view. I have been quite vocal on the subject through social media but I now feel that aspect of the argument is taking us into a territory where it is only detrimental to our community. In January, I answered a post on Facebook to participate in the recent film The Strange Island Tradition Firing Up a Gender Row, as they were inviting parties to be involved in presenting a balanced film production of the festival. However, it became clear after some discussion that this would not be the case. Therefore I did not participate. It has, as I and others predicted, painted Up Helly Aa and Shetland as a whole as a misogynistic community, which is simply not the case. If those who want to keeping the Lerwick festival as it is are vocal in that respect, we are labelled as misogynistic by those in favour of change. We are also accused of “educating our children to emphasis the superiority of boys over lasses” and disappointingly, we are told it’s despicable that we are even parents. Among other things we are called zealots and morons and classed as vile. 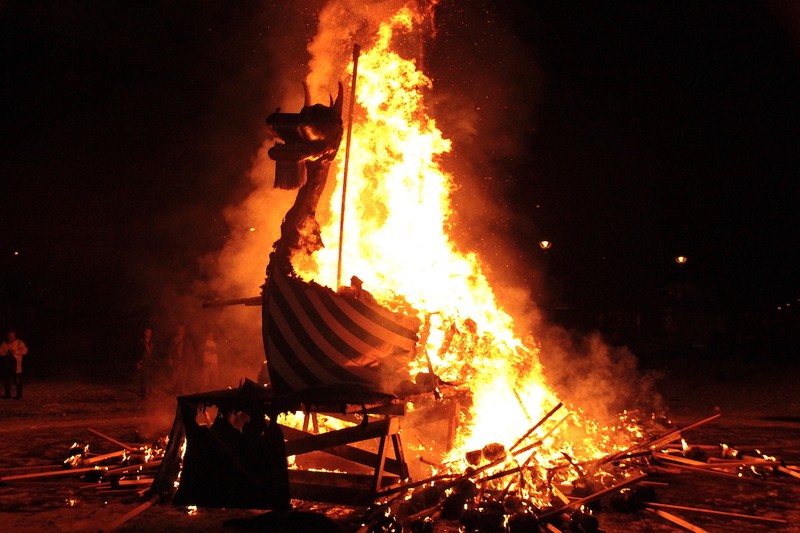 We are also accused of cheating on our partners as apparently Up Helly Aa is “the one-night free pass many use”. It is also intimated that “families suffer”, “children are harmed by this” and our children are referred to as “damaged”. We adults are also referred to as “damaged” and accused of being accepting of our conditioning by our misogynistic community. I have in no way ever felt that because of my upbringing or my involvement in Up Helly Aa, opportunities have been missed, nor I have been treated differently because I’m female. I am seriously offended that how my parents raised me is questioned and angered that how I raise my children is brought into discussion. This is not a fair and constructive way to debate. We are not adverse to change because of gender issues. We oppose it because Up Helly Aa is part of our culture and heritage and we love it the way it is. It’s more than a festival to us; it is our tradition, it is a feeling of belonging and a strong sense of pride in who we are. There was a recent article in a national newspaper entitled Women hit with online abuse after Scottish Viking festival campaign. (The National, 31 March 2019). This was from the campaigners for change angle. It was a very disappointing read as the simple fact of the matter is that there is online abuse coming from both sides. The campaigners for change who are communicating the message that it is they who are the victims need to recognise that and stop promoting and using this message, to encourage support and gain momentum for their cause. There are so many issues surrounding why women do not take part in squads, the main one being that the majority love it for what it is and do not want it to change. The festival is also full to capacity, many men are waiting for places in squads, there are no room for additional squads and the committee remit is to the current participants of the festival. Interestingly, during the last online discussion a campaigner for change introduced other ideas to allow spaces for women guizers to become available. One is to apply an age limit to guizers, so anyone over a certain age would no longer be eligible to participate. The older generation of guizer has shaped the festival to what it is today. Should they not be deserving of their right to choose to continue to participate regardless of their age? Excluding them is surely ageism. Another idea is to exclude existing squad members if they reside outwith Lerwick. It surely does not merit consideration the fact that they have gained their place within the squad by following the Up Helly Aa rules of participation and been longstanding squad members? Introducing these kind of ideas will only be met with anger and more resistance. I tuned in to listen, as did many others, to Speakeasy recently on BBC Radio Shetland. I had been approached to take part in the debate, one I was assured would be balanced, which again I turned down. It was a very interesting listen but I was very disappointed that no letters or emails from many young listeners who are in favour Up Helly Aa staying the way it is were read out, or any interviews undertaken for broadcast from these youngsters. It seemed none were considered of importance to share in this particular debate. It was not at all balanced, as I know there were plenty who wrote in and would have had plenty to contribute. In my opinion the junior and senior festivals are separate issues and I have always thought girls should participate if that’s what the majority of them want. The junior festival must be addressed, as it is of the utmost importance that our children are educated so gender is not an issue. However, should all of our younger generation’s views not be taken into account also? What message does this send to those children? After all they are our future. Why are the opinions of the few, more deserving to be heard, than the majority of the others? Is this fairness and equality for our children? I’m also concerned that we are focusing so much on the gender quality issue for our children that we are ignoring and not communicating to them the importance of other issues which should be in the forefront of their minds? Gender equality is a major issue which absolutely, should be addressed at all ages. However, should we not be more concerned about educating our children, for example, about the more serious issues of climate change, which will have massive effects on their lives, or the importance of the democratic process. But above all, how to care for one another and how to listen and respect everyone other’s opinions, no matter how you feel or if you agree or not? Over 10 per cent of children in our community are living in deprivation. That equates to roughly 400 children in Shetland and before I am accused again of “whataboutery at its finest”, I think it’s a valid point no matter what side of the Up Helly Aa debate you support. The effects of child deprivation should not be underestimated. This can undermine child’s health, wellbeing and educational attainment. One study has shown these children are three times more likely to suffer mental problems and two and half times more likely to suffer chronic illness. 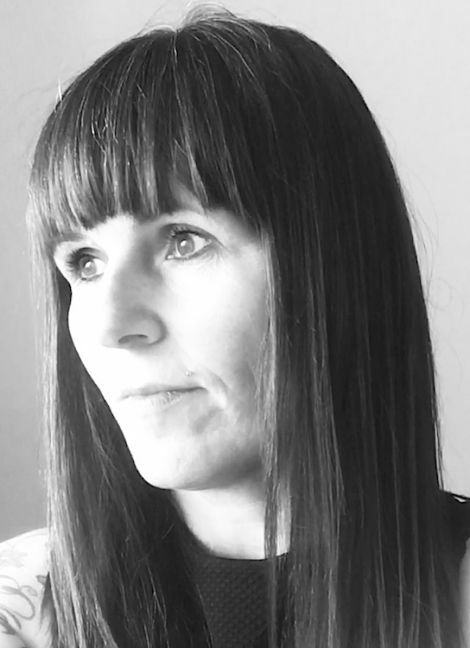 We can argue about girls being included in a festival which takes part on one day of the year, and campaigners for change argue how this is affecting our children, but we ignore these other children and their vulnerable families in our community. What message does that send out to “all” of our children about the Shetland community on the whole? Is this not more harmful to our children than the gender debate itself? I have always considered Shetland as having a caring and supportive community but unfortunately it seems it has changed in this respect and not for the better. Lerwick Up Helly Aa 2019. In a recent survey of 300 participants the question asked was: “If you are a woman who would like to, or does participate in Lerwick Up Helly Aa, would you rather … be at a hall or be in a squad?” Seventy-five per cent responded they would rather be in a hall. This shows quite clearly the majority of women/girls do not feel oppressed by the current format in any way. There was another online survey undertaken by The Shetland Times in 2015. This was directly in reference to the first female jarl and the South Mainland festival. This survey is being used by activists in argument for change. Sixty-eight per cent showed favour of change for women to take on the roles of jarls. The actual figure of votes cast I have been unable to ascertain from The Shetland Times. I have also questioned the campaigners for change and they are unable to clarify. They are using this argument in communicating the desire for change in Lerwick, so rather irrelevant and not a clear and concise point to argue? Maybe it is time for another more precise, fair poll relevant to the Lerwick festival where everyone, not just those who have access online, can vote. I’m unsure as to why it hasn’t as would that not sort out the endless debating? There is clearly fault on both sides of the argument. Erik Moncrieff made a very good point during Speakeasy and one I wholeheartedly agree with. The manner in which the activists are fighting for change is unfair on so many levels, which in turn is inflaming the situation, and those who wish for the festival to remain as is are becoming more passionate. The other side of the coin is that the activists are becoming more enraged at the lack of engagement from Up Helly Aa committees etc. This is, in turn, again inflaming the situation and encouraging local activists to use social media and other means to invite others to become involved. These individuals have had no experience or have no knowledge why or how Up Helly Aa works. Sadly, it feels these people are fighting simply for the equality issue “fight” and nothing other. Others such as Maree Todd and Douglas Henshall are wading into the debate. These people do not understand the festival as it is so I’m unsure as to how they can pass any informed comment. Former committee member James Moir, who hasn’t attended in over 20 years nor lived in the isles during that time, watched the BBC film and was stirred to share his opinion. I’m sure a committee member who has given his commitment, year after year and continues to do so, to the festival and has a strong desire to see its success continue, would have been more of an “exclusive” for The Shetland Timesand an opinion which would have carried a lot more weight. Also interesting, during a recent visit of MSP Jamie Halcrow Johnston, his opinion on the debate was reported on by the Shetland Times online rather than the positive issues relevant to our community during the visit. All this negative publicity is doing is changing how the world perceive us? Social media and selective journalism is, unfortunately, becoming a catalyst for detrimental debate and by the activists using it. Sadly, I believe this is going to have consequences for Shetland on the whole. It may be possible and something the campaigners for change should consider, if their manner in how they are approaching this would be less aggressive, people may just be open to listening and hearing their viewpoint? All we can see from recent campaigning is an apparent desire to use whatever means necessary, to obtain their goal regardless of the effects on the festival itself or indeed Shetland. From a personal perspective all the current campaign is doing is giving me fire in my belly to defend my stance and others’ opinions all the more passionately. The message from that comment is very clear. What people outwith Shetland are gauging from the campaign for change, through social media and journalism, is severely inaccurate. Not only are the facts inaccurate, women here are being viewed as something we are not. Women are a major part of the Lerwick Up Helly Aa, always have been and always will be. There is severe belittling of all Shetland women in our community as a result of actions from the campaign for change. Women work tirelessly for Up Helly Aa year after year to make it what it is. It is very true that after the last torch is thrown into the galley the women are very much in control and that is how and what makes it brilliant. Men have their parts to play as do the women. I always thought fighting for women’s rights was, among other things, about empowering all women? Not slating and condemning women for the choices they make or belittling their actions, criticising their parenting skills, lives they lead or opinions they have. Nor portraying them to others in a derogatory way. Fighting for equality for all women? It seems only when it suits the cause and certainly not if you have a different opinion in relation to UHA. The 2018 report on the Visit Scotland website shows that 43 per cent of visitors to Shetland engaged in online or social media activity about their trip. Shetland was visited by 38,096 leisure visitors in 2017 (the 2018 figures are not yet available), whose total spend in Shetland equated to £13.1 million. Thirty-three per cent noted their main reason to visit Shetland was to experience the culture and history, so we can ascertain that a percentage of these people come here to experience Up Helly Aa first hand. The value of increase in visitors to Shetland’s yearly economy went from £16.2 million in 2013 to £23.2 million in 2017. A lot of work has been done in promoting Shetland on the world stage. Can’t the people fighting for change see how damaging their campaign may be to our islands and economy? Last week, 50 members of Lerwick’s Jarl’s Squads, plus 20 women and some children, undertook the journey to the New York to participate in the Tartan Week parade along with other activities to promote Shetland to the world. The cost of the trip was borne solely by members of the squads and their families and was of considerable amount. They do this because they feel a passion for Up Helly Aa, they are immensely proud of our culture and heritage and they want to put Shetland on the map. Therefore, I was saddened to learn that again, activists had used social media and the BBC film as a means to undermine their visit to Twitter followers of the Tartan Day celebrations and local travel providers. Potentially that is a damaging and reckless action in respect of our tourist industry, given that 58 per cent of American visitors to our isles noted history and culture as a reason for coming here. Tourism generates major income to our isles and many people in our community rely heavily on tourism to make their living. The fishing and oil industries may not always be as lucrative. Therefore, it is essential to the survival of our community and our future generation’s legacy to ensure we do all we can to promote the beauty and individuality of Shetland. If there is an appetite for change then so be it. But those who are fighting for change should do it by using respectful, educated and factual debate. Please do not force the issue by portraying Up Helly Aa, Shetland and its community, as something it is not on the world stage, as this will no doubt put an end to Up Helly Aa as we know it and have detrimental effects on our isles. Those who want the festival to remain as is, please argue the case by again using respectful and educated debate. My views are entirely my own and I do not represent others’ opinions who are keen for Up Helly Aa to stay in its current format. I’m also aware that some people who are keen for change feel that the current campaign is not correctly representing how they wish change to happen. Therefore, I would strongly encourage everyone to make their opinions known, whatever the side of debate you find yourselves on, regardless of backlash from anyone’s views. Personally, I would not like to see females being included in squads in Lerwick Up Helly Aa. Inclusion of women would change it into something the majority of participants do not want and ultimately end it as the spectacle we know and enjoy it to be. This is not because I’ve been “conditioned” to this by my parents or our community. It is because I love it for what it is and being a born and bred Shetlander, it’s in my blood. Change should only be undertaken if there is a want by the majority or need for it. Not because a minority group want it and most certainly not by using pressure of how society will view us as a community. Over the years Up Helly Aa has grown, changed and evolved into something we should all be immensely proud of, no matter if you are male or female and whether or not you can, or want or do not want to play a part.